As with veterans suffering from PTSD, survivors of the Holocaust tended to put their horrific experiences behind them, being certain that no one who wasn’t there would understand what they underwent. As they have aged, family and the world at large have been urging them to tell their stories in order to add to the body of Holocaust knowledge in order to remind us of and emphasize the fact that this should never happen again—yet possibly could—if we are not vigilant. Given the Holocaust deniers that continue to exist in our world, it is manifest that living survivors provide memoirs, diaries, and journals which detail the specifics of what they experienced. Graphic, tragic, grisly, and heartbreaking as they must be to read and even imagine for ourselves, it is necessary and incumbent upon these men and women to do so for mankind’s benefit. Even with those concentration camps which were not specifically death camps, the abuse, starvation, disease and deprivation that were concurrent with being overworked until death bring to the fore the diabolical nature of the Nazi camp system. Kapos, somewhat privileged and fellow prisoners themselves, were overseers inflicting much of the abuse and degradation so as to avoid being beaten to death should they be demoted back to the general prisoner population. Despite this, there were also many small individual miracles and victories to demonstrate the triumphant possibilities of the human spirit; another reason for these personal stories to see the light of day. That is the thrust of the publication under review here. 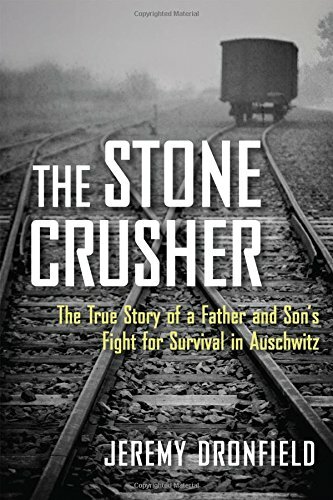 Not only was it a miracle that this father and son survived the Nazi camp system for seven years, but they did so in spite of being incarcerated at two of the worst camps of all: Buchenwald and Auschwitz, with the son surviving a stint at a third camp, Mauthausen, following his escape from a train which was evacuating prisoners as the Red Army drew closer to the scenes of Nazi crimes. Their survival depended on a generous portion of luck, human will, each other’s presence, the help of fellow prisoners, and the fact that they were skilled workers who were always able to contribute to the German war effort even when they were not actually skilled in certain trades yet lied about the fact to the SS men in charge of the camps. As for the rest of the family of Gustav Kleinmann, again, there were triumphs and defeats. Prior to his and his son’s travails, the decision of the Final Solution and ostensible “resettlement” in the East, an adult daughter and younger son managed to flee Germany for England and the United States, overcoming all of the obstacles in their way from each of these countries where anti-Semitic emigration and immigration laws, respectively, were concerned. Unfortunately, the wife and a teenage daughter were unable to exit the Greater Reich, got caught up in the Germans’ resettlement plan, and then were ultimately murdered with many other Jews in a notorious location outside of Minsk, the capital of current day Belarus. Much of this story is based on the diary that Gustav Kleinmann was able to maintain over the course of his incarceration even though it was forbidden and would have resulted in his death had it been discovered by the SS. His son, Fritz, made his own contribution with the release of a memoir in the 1990s. Additional assistance came from the surviving daughter and son. Additional sources in the text were Jewish, German, and Austrian archives, interviews, documents, books, and articles. These are evident in the notes found in the back of the book along with a traditional bibliography. There are no maps and one which shows the locations of camps referenced in the text would have been helpful even though such information can easily be found online. The only photograph is at the front of the book and it is a family portrait taken in 1938 before the Kleinmanns’ ordeal began. One can only assume that other relevant photographs did not survive or were not available for inclusion. This is as much a story about the father and son as it is the rest of the family. In spite of the tragedy and difficulty of reading about man’s inhumanity to man, this should be required reading for all, for the reasons cited above, so that we never forget.